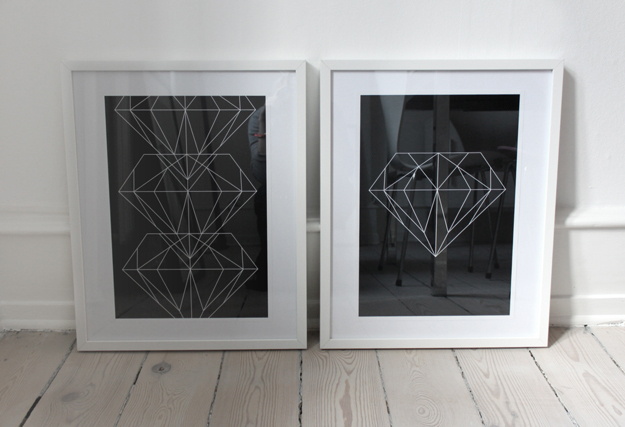 createcph: DIAMOND POSTERS - SOON FOR SALE! 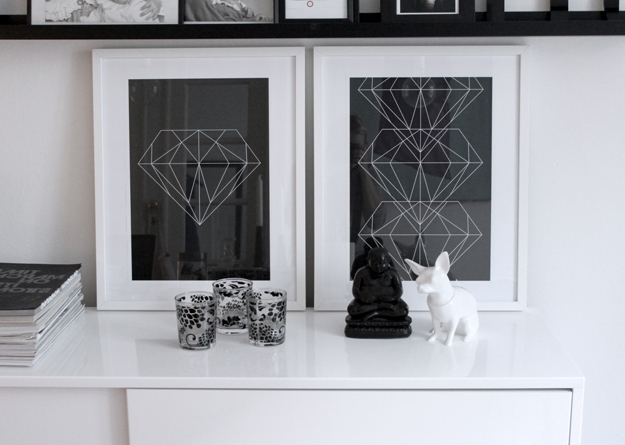 DIAMOND POSTERS - SOON FOR SALE! Not that it is very big news, but for me it is definetely something new, since I've decided to open my own small webshop. I've had a few people asking me if I sell some of the things I make, and well.. I've been wanting to do this for a while, so now's the time! 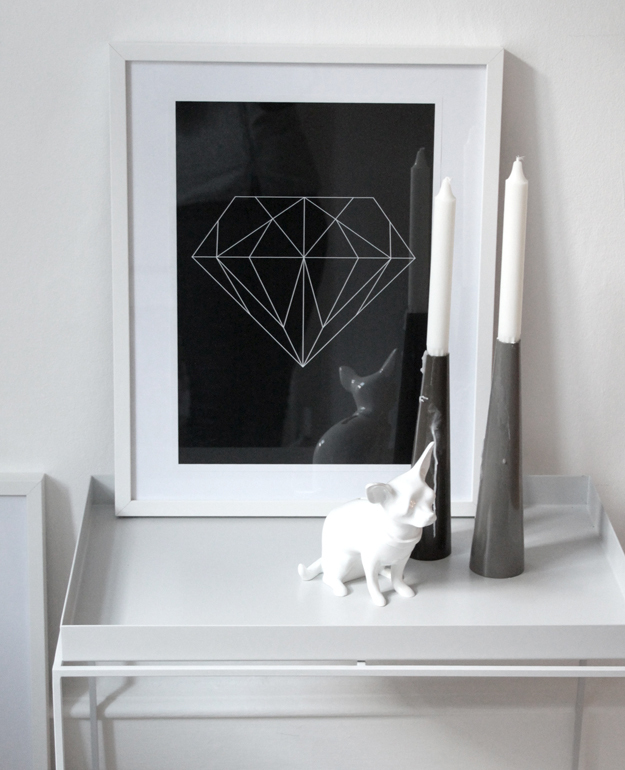 My first product will be some simple but very decorative black/white Diamond Posters, but I'm working on a few other posters and cards as we speak! 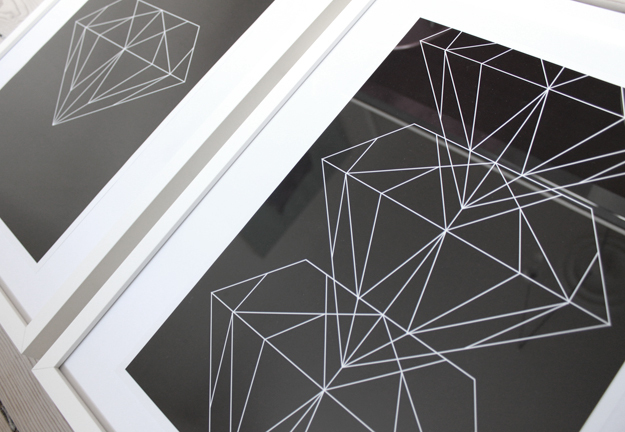 Yesterday I went to my favorite printing house and had them run some test-prints of the Diamond Posters I've shown in an earlier post. While deciding which paper I want them printed on, I might as well show you the prints which I spent today framing in simple white frames, and then took some pictures from around my apartment. Hope they'll be well recieved!